An extremely quiet spring migration season is drawing to an end. I wish I had something more interesting to post than a Black Headed Gull. Still, their harsh calls take me back to the Ribble Marshes and Leighton Moss in summer. Sadly I haven't been to the UK in late spring/early summer this century. I think it's an interesting bird, and a really terrific shot! Some years are like that I guess! I think Chocolate-headed would be a better name for these gulls. A very nice shot, Stu. I think they look more exotic than the Silver Gulls I'm more familiar with in Australia. I'm excited to see them here. They were everywhere when I first arrived in Niigata now they are pretty rare... Where I'm looking anyhow. Thanks heaps for identifying the thrush. I felt confused by the birders here but too lazy to look further. We do have Pacific Gulls regularly around Melbourne, and Kelp Gulls not too far away near Philip Island. Ah but I was only in FNQ. 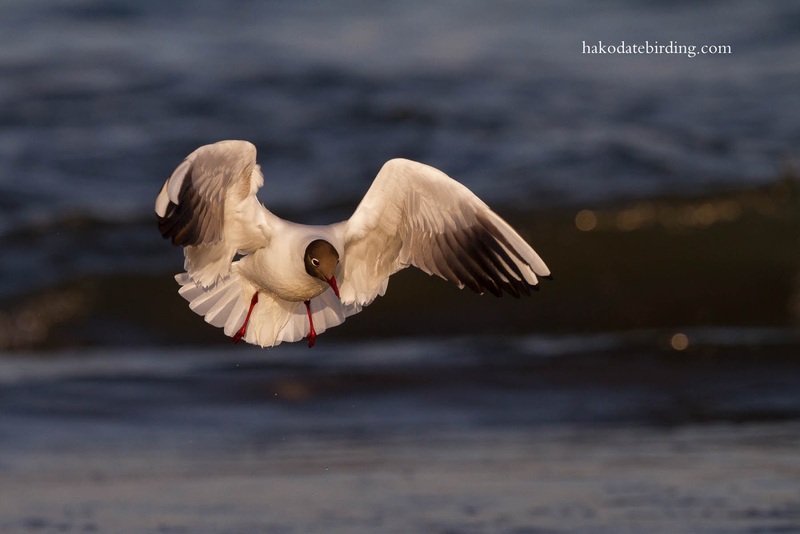 Fine light for the gull shot…. !